So here it is! The dress Layla Kühnen made for Adèle and gave it to her this friday. 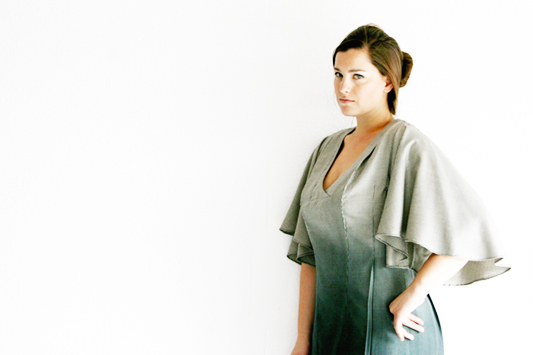 It’s a silk and wool pied de poule fabric which is degraded to a darker colour at the end, a technique Layla Kühnen masters very well and is typical for her designs. We just have to wait and see if Adèle is going to wear it, but when she does you can read all about it here in the blog.